Táp’ash (n) pine tree. 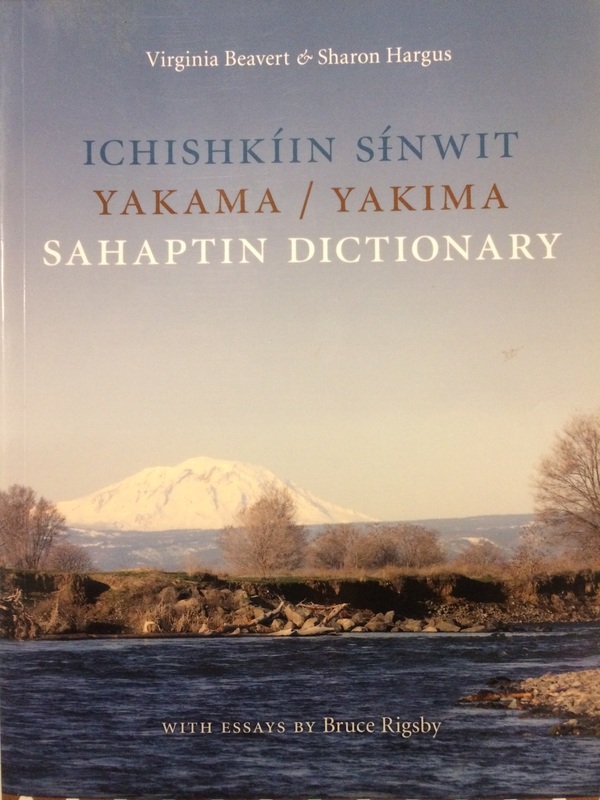 (Pinus) __Imítichnik táp’ashyaw ánichatak. Go bury it under the pine tree. Who is part of the Collaborative? 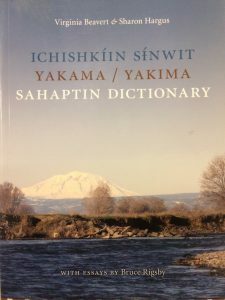 The Tapash Sustainable Forest Collaborative landscape is located outside Yakima, Washington and extends from the forested flanks of the East Cascades to the arid, sage-dotted hills of the Columbia Basin. These rugged hills and canyons support some of the few remaining mature groves of ponderosa pine in the state and provide habitat for the declining white-headed woodpecker, golden eagles, Rocky Mountain elk and mountain lions. These ponderosa pine ecosystems, including forests, riparian areas and suites of dependent fauna, have changed dramatically in ecological character over the last century. This landscape is part of the forest crisis in western states brought on by the interaction of drought, disease, altered fire regimes and forest conversion. All of these factors are exacerbated by the difficulty of coordination due to the checkerboard land ownership pattern developed in the 19th century. The magnitude of the problem at the scale of the east Cascades has driven stakeholders to agree that it is beyond any one group to work on these threats with any hope of success. Our coalition of public, non-profit and tribal land managers is organized under a Memorandum of Understanding, and works cooperatively to overcome the constraints of the checkerboard ownership patterns. 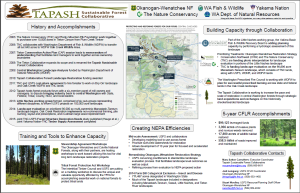 It is currently focused on restoring fire-adapted ecosystems to a core area within the Wenatchee National Forest by exploring new implementation tools and opportunities including stewardship contracting, ecosystem services markets, cellulosic ethanol production from forest biomass andNational Fire Plan funding. Using a process developed by The Nature Conservancy called Conservation Action Planning, the convening partners structured the scope, overall project vision and desired ecological outcomes and created clear strategies to accomplish the shared vision. The Tapash Collaborative also refined its structure, forming a work group of staff practitioners who work together regularly, an executive committee to set strategic direction and an organizational leadership function for directors. The new work group built a protocol for taking fuels treatment projects across federal and state ownership. In addition, recent timber transport negotiations will make a Department of Natural Resources forest health project possible. Efficiency, communications, trust and innovative resource management are enhanced through collaboration. 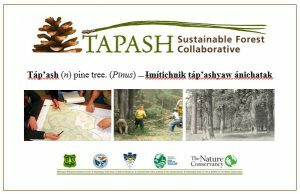 The Tapash Collaborative provides coordination, funding, facilitation and engagement with interest groups, local citizens and academia that enhances management decision-making and results in fewer appeals and conflicts during environmental reviews. Joint problem-solving regenerates projects that balance economic, cultural, social and ecological values. Public-Private Authorities for Land Management Agencies can support restoration activities on public and private lands supported by collaborative engagement. The majority of our efforts are focused on the million plus acres of forested lands along the eastern edge of the South Central Cascades from Wenatchee south to the Oregon/Washington border. The Collaborative’s goal is to manage three million acres of forests by strengthening the landscape’s resistance and resilience to the long-term effects of climate change, with warmer, dryer and longer fire seasons. The partners have conducted an assessment of the viability and critical threats facing key habitats within a 300,000 acre landscape that indicated that climate change is a major threat facing these forests. Connectivity of landscapes allows natural and prescribed disturbance processes to co-exist. 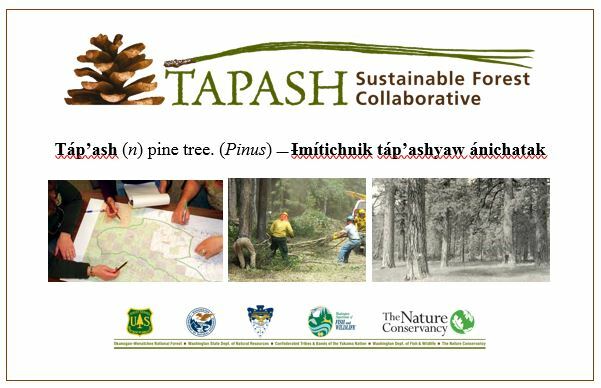 The Tapash Collaborative is implementing several placebased adaptation strategies that will increase the number of acres restored through cooperative controlled burns and thinning projects. Selective culling of smaller trees increases forest resiliency by creating fewer, bigger, and more fire-resistant trees. Open patch habitats within the forest are critical for many species and are naturally maintained by fire. Selective thinning helps restore the natural pattern of more frequent, less severe fires that benefit and balance the ecosystem.